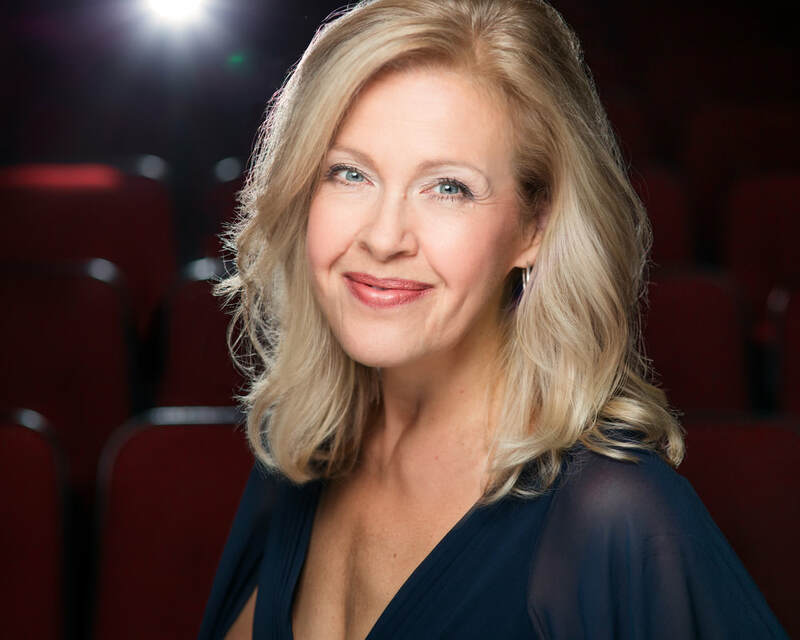 Soprano Rebecca Carr has been hailed in the press for singing “radiantly" and “brilliantly” with her “big, vibrant soprano voice,” matched with "remarkable" and "touching" portrayals. She brings her exuberance for singing and love of performing to opera, concert and recital stages. She is making the transition from full lyric to higher dramatic repertoire under the guidance of teacher Bill Schuman, in the roles of Die Kaiserin in Die Frau ohne Schatten, Senta (Der Fliegende Holländer), Minnie in La Fanciulla del West, and the title roles in Vanessa and Manon Lescaut. Miss Carr's repertoire of operatic roles has included the title roles of Carlisle Floyd’s Susannah, and Puccini’s Madama Butterfly. Verdi roles include Violetta in La Traviata, Luisa Miller, Alice Ford in Falstaff, and Desdemona in Otello. She has performed Mozart’s Fiordiligi in Cosi fan tutte, both Donna Elvira and Donna Anna in Don Giovanni, as well as First Lady in Die Zauberflöte, along with Marie in The Bartered Bride, and Musetta in La Boheme. In the world of operetta, Miss Carr has excelled as Rosalinde in Die Fledermaus, the title role in Kalman's Countess Maritza, and Anne Elise in Lehar’s Paganini. Her first foray into heavier repertoire was as an alumni artist at The Academy of Vocal Arts, in the role of Chrysothemis in Elektra. Critics raved that her portrayal was “shining” and that she “sang radiantly,” highlighting her “virginal blonde beauty.” She is a Regional Winner of the Metropolitan Opera National Council Auditions, and she has had the great honor of studying the early operas of Verdi with renowned diva, Renata Scotto. She has performed regionally with Central City Opera, Chautauqua Opera, Opera Festival of New Jersey, Harrisburg Opera Association, Mozart & Friends Opera Festival, ArtPark/Greater Buffalo Opera, Ashlawn-Highland Summer Opera Festival, and she sang throughout France, Germany and Spain with the touring company, Teatro Lirico di Europa. With Aiken Productions, Miss Carr performed Amahl & The Night Visitors in over half the United States under the direction of the original Melchior, baritone David Aiken. She has appeared in concert with the Ohio Valley Symphony, Evansville Philharmonic, the Chautauqua Symphony, Bridgeton Symphony, and the Old York Road Symphony. Miss Carr made her Carnegie Hall debut as soloist in Vivaldi's Gloria. Other debuts were made at Philadelphia’s Kimmel Center for the Performing Arts, as a featured artist on the Family Concert series, in concert with the Ocean City (NJ) Pops, and in recital on the Bucks County Performing Arts Center Concert Series. Other performances include a numbers concerts with organist, Alan Morrison at Philadelphia’s historic First Baptist Church, soprano soloist in Ursinus College’s annual performance of the complete score of Handel's Messiah, a Verdi Gala with Harrisburg Opera, and soprano soloist in Haydn's Lord Nelson Mass with Philadelphia’s highly acclaimed Choral Arts Society, and at Ursinus College. Miss Carr divides her life between singing and jewelry design, and has combined her love of opera and beautiful things to launch a line of handmade artisan jewelry, ​Belle Pietre Jewelry. Each piece is inspired by, and named for an operatic heroine. Her commitment to introducing the Art of Opera to people of all ages led Miss Carr to coordinate the opera outreach program at her alma mater, The Academy of Vocal Arts, and to be involved in other outreach organizations - boasting that hers is the operatic voice that made thousands of youngsters cover their ears. Miss Carr also created “What’s all the Screaming About: Opera for the Uninitiated,” a seminar which she presented to adults at Chautauqua Institution for several summers. Beginning in Auburn, New York, Miss Carr played mandolin (which she has taken up again this year! ), violin and piano before starting the vocal training that led her to Ithaca College (BM), The University of North Carolina at Greensboro (MM), and to be granted the Artists' Diploma from Philadelphia's prestigious Academy of Vocal Arts. Miss Carr is known to be a solid musician, consistent performer, as well as a remarkably quick study. Because she has been frequently called upon to defend herself against the reputation of a stereotypical blonde soprano, Miss Carr chose to qualify for membership in American Mensa rather than change her hair color.